I know. Brussels sprouts are one of those dreaded vegetables that stir fear and loathing in the hearts of children. Some outgrow this, some do not. For some reason, my family never had Brussels sprouts when I was growing up, so this was a loathing I never developed. When I finally tried them as an adult, I wondered what all the icky fuss was about. They were really not that bad. At that point I was eating them buttered, with salt. Period. But as I became more and more culinarily curious, I experimented. Why boil them? Why indeed. 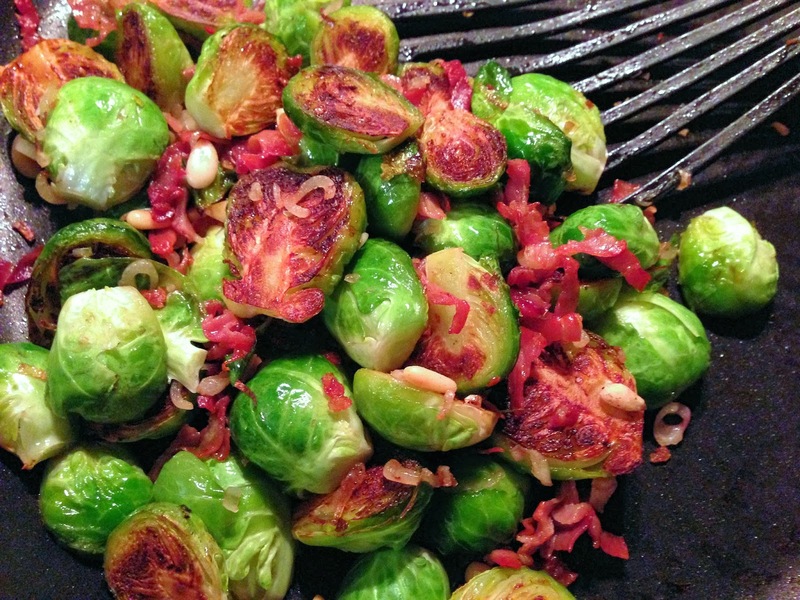 My most recent divergence from the rut of boring sprouts was absolutely delicious. 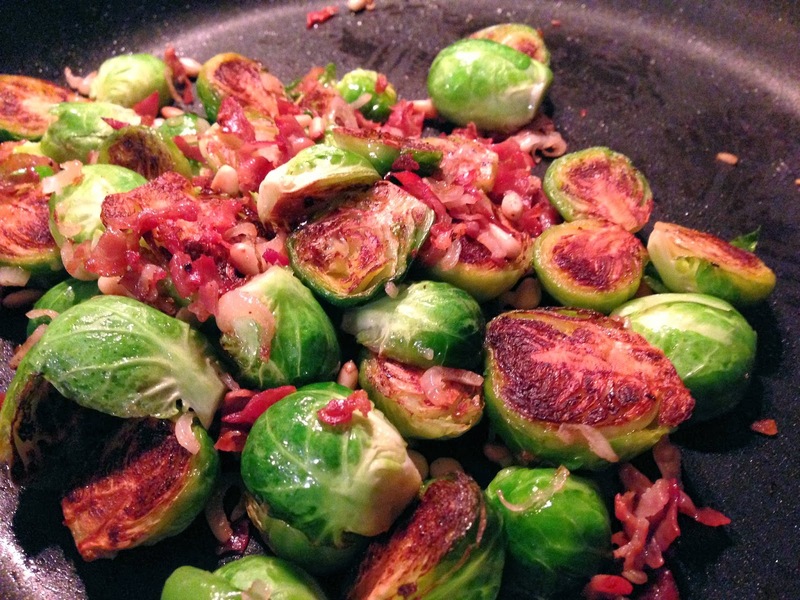 The pan searing brings out a wonderfully nutty flavor in the sprouts, and leaves a tender but firm texture. Also, the nutrients are better preserved if they are not boiled away in water that will end up going down the drain. 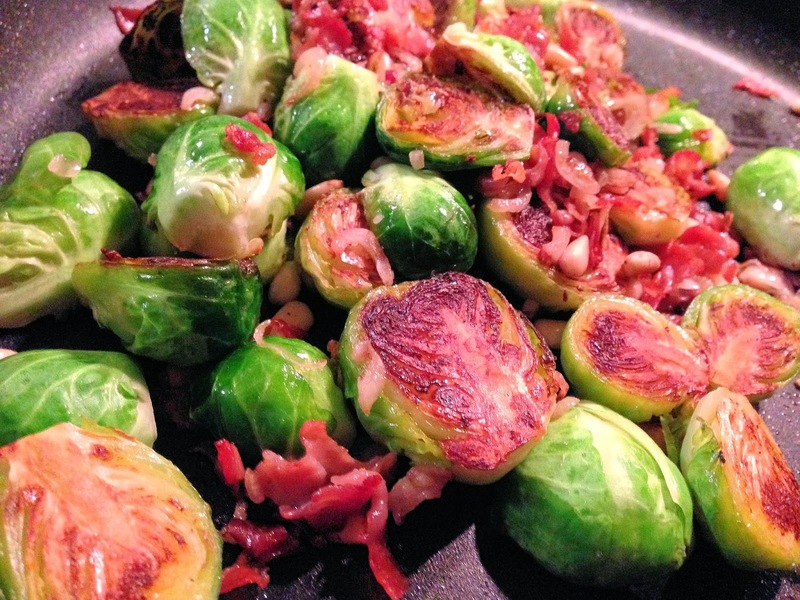 If you hate Brussels sprouts, you are probably not even reading this post. If you love Brussels Sprouts, you have no idea how much more you will love them in this dish. If you are on the fence, let me pull you over to the green side. 2 pounds Brussels sprouts, cleaned with loose leaves trimmed off, cut in half. Prepare Brussels sprouts by trimming the stem, removing all damaged or loose leaves, and cutting each head in half. Roll prosciutto and slice in thin strips - separate strips. 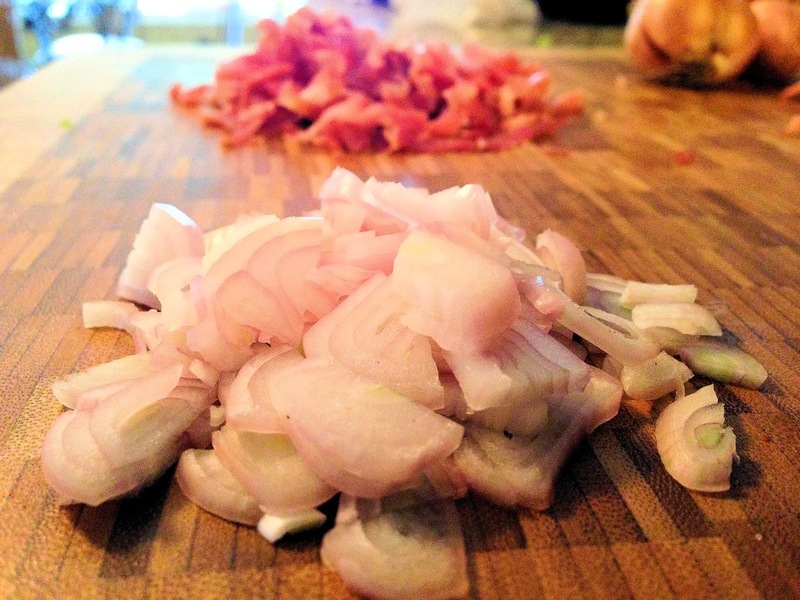 Slice shallots in thin strips and separate. In a large non-stick skillet over medium heat, sauté prosciutto, separating the shreds, until it just begins to crisp. Remove from pan and set aside. Add shallots to the skillet and sauté over medium heat, separating the strips, until they begin to turn translucent and the edges just begin to brown. Remove from pan and sprinkle over the cooked prosciutto; set aside. Remove skillet from heat. Add butter to still-warm skillet and evenly distribute. Place Brussels sprout halves open side down in the skillet. Crowding them is no problem – the key is to make sure they all have contact with the skillet’s butter surface. Return skillet to medium heat. 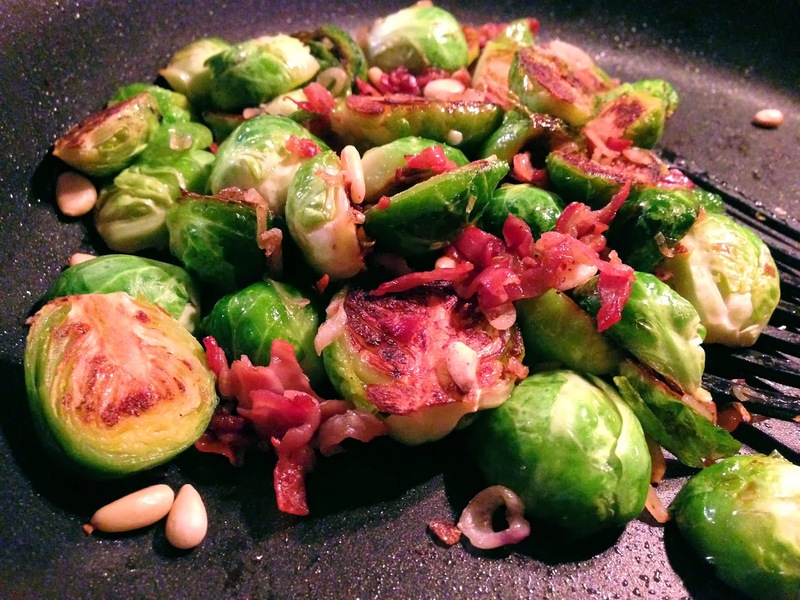 After 10 minutes, sprinkle pine nuts into the skillet between the sprouts. This will allow the pine nuts to "toast" in the skillet. Cook another 5 minutes. Add prosciutto and shallots to the skillet, and gently blend to distribute evenly and heat through.